“Perhaps the most surprising thing about the movie is Brand's character. A fizzing mix of British chirpiness, drug-dependent freak show, emotional baby and charismatic charmer, he's clearly based on ... Robbie Williams,” The Guardian reports. 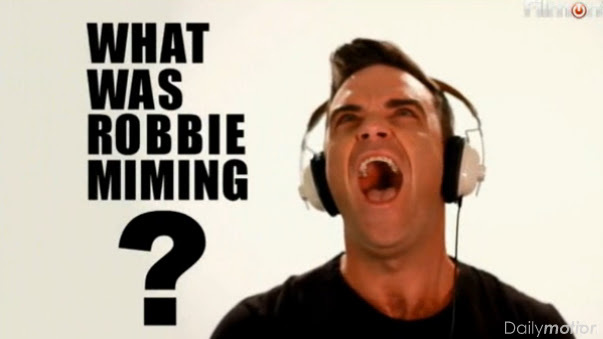 There are alleged similarities between the real and fictional musicians’ personalities, with the suggestion that: “Snow's developed into a lovable narcissist, and the Robbie parallels are stronger than ever. Интересно, а кто бы у нас делал такую рекламу? Влад Топалов? "Названы песни, которые заставляют мужчин плакать"
цитата - "В десятку самых слезоточивых песен также попали комозиции U2, Робби Уильямс и Шинед О'Коннор." бедняжка,не плачь(((лучше выложи что нибудь из своих новых творений! From the formation of the coalition government, to Tiger Woods turning from family man to serial adulterer, new research conducted by The Co-operative Bank Current Accounts has revealed the biggest ‘switches' over the course of 2010. The survey of 3,000 Brits also highlighted other popular switches, including Robbie Williams' emotional reunion with his Take That band mates, Adrian Chiles and Christine Bleakley switching channels to ITV and the Lib Dems' widely reported u-turn on university fees. Wayne Rooney features twice in the top ten after making the decision to remain at Manchester United, and being taken back by Colleen Rooney after playing away from home. 39 - 39, конечно, но все равно приятно, черт возьми. Может, имя Брэда поможет - все-таки там его любят. Песенка форматная, хоть и не особо примечательная. Sir Paul McCartney says Robbie Williams held him up from making 'Kisses from the Bottom'. The Beatles musician has wanted to make an album covering old rock 'n' roll standards for a number of years, but kept getting beaten to it by other artists such as Robbie, who released 'Swing When You're Winning' in2001, and Rod Stewart, who has recorded five instalments in his 'American Songbook' series since 2002. "Then it settled down and just as I thought, 'now's the time,' Rod Stewart comes out with one, so I thought 'oops, can't do it now'. "But I ended up with a different direction to anyone else, and the songs are not quite as well known as the ones other people have done." Paul, 69, admitted he was both inspired and a little intimidated when he went into the famous Capitol Studios in Los Angeles with Diana Krall to record the album. He added: "When I came in to make the album, I didn't know how I was going to do it, but I wanted some inspiration so I thought, 'I'm not going to answer that question until I get on the mic'. "We were in Capitol studios, the iconic studio where Nat King Cole, Sinatra, Dean Martin, all these guys recorded and it felt a little bit intimidating because I had no idea what the record would sound like, we chose the song, and then started Diana started working it out, and we did it very organically." 'Kisses from the Bottom' - a collection of covers and two new songs by Paul, 'My Valentine' and 'Only Our Hearts' - is released on February 6 in Europe and February 7 in the US. Brad Paisley says he had no doubt about his role when he and British superstar Robbie Williams co-wrote 'Collision of Worlds' together for 'Cars 2.' The song is one of 39 tunes up for an original song nomination for the 84th annual Academy Awards. Director John Lasseter told Brad, who also wrote a song for the original 'Cars,' that the new tune was about Mater, the tow truck voiced by Larry the Cable Guy, who falls outside of his comfort zone as he travels the world. The naive truck has a little trouble adjusting to the local customs before ultimately saving the day. "When Robbie and I met, we had a ball," Brad says of the suave singer. "I said, 'I have no preconceived notion of why I'm here: I'm the redneck tow truck and, make no mistake, you're the slick British spy'." In the song, the two run through the differences between American and British English. "We came up with the title 'Collision of Worlds'," Brad says. "We were joking about colloquialisms like bangers and mash, meat and potatoes, pounds and dollars." The pair had so much fun that the country superstar hopes to collaborate with Robbie on another project. "I've got some ideas for him. I think he needs to venture into Nashville territory. There's a British country thing that I'd love to see him attempt," Brad says, referencing English acts like Mumford & Sons, who draw from country influences. "Don't go sing songs about Texas. Go sing about Nottingham or the Isle of Man." Brad hopes to write more songs for movies, especially because he loves the idea of working from a script. "It takes all of that sitting around in a room, looking at a co-writer [and] banging your head against a wall [and replaces it with] 'We'll give you two hours of inspiration. Go for it.' [So] Mr Eastwood, Clint ... C'mon. Call me!" The Oscar nominations will be announced on Jan. 24. Go behind-the-scenes of Brad and Robbie's recording session for 'Collision of Worlds' in the video player below. Да Мак пожаловался, что, дескать, Свинг и кавер-альбом Стюарта помешали его планам раньше выпустить свой собственный аналогичный с перепевками. The Iconic Live Moments DVD is released on May 14 and marks the start of Music is GREAT Week. Jude Bridge of Save the Children said: "We are very proud to be partnering with Music is GREAT. For each copy sold, Save the Children will receive all net profits. That money will go towards funding our vital work both in the UK and internationally. I would encourage all music fans to buy this fantastic album which will help save children's lives and give them a chance to fulfil their potential." 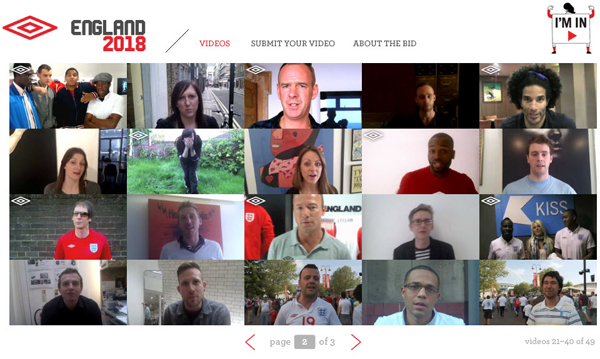 Jessie J added of the Music is GREAT campaign: "I'm so proud of being British, my accent says it all. "I think it's very important to be proud of where you're from, and I don't think anywhere is like the UK. I think music is a perfect way to celebrate and we make it very well." The full running order of the DVD is as follows. В списке самых продаваемых синглов 21 века!